Celebrate the story of your life with this carefully crafted collection of memories. 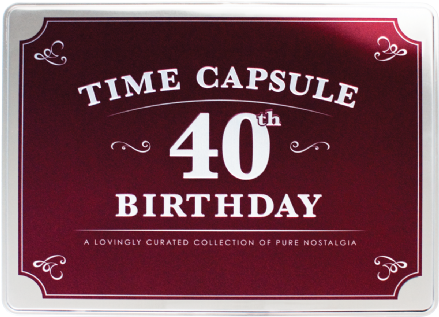 A perfect gift for someone celebrating a 40th Birthday. All packed into a deluxe keepsake tin. A host of ephemera sure to evoke a sense of nostalgia for the lucky recipient. Imagine opening a tin full of history, YOUR history. Celebrate the story of your life with this carefully crafted collection of memories. A perfect gift for someone celebrating a 50th Birthday. All packed into a deluxe keepsake tin. A host of ephemera sure to evoke a sense of nostalgia for the lucky recipient. Imagine opening a tin full of history, YOUR history. Celebrate the story of your life with this carefully crafted collection of memories. A perfect gift for someone celebrating a 60th Birthday. All packed into a deluxe keepsake tin. A host of ephemera sure to evoke a sense of nostalgia for the lucky recipient. Imagine opening a tin full of history, YOUR history. Celebrate the story of your life with this carefully crafted collection of memories. A perfect gift for someone celebrating a 70th Birthday. All packed into a deluxe keepsake tin. A host of ephemera sure to evoke a sense of nostalgia for the lucky recipient. Imagine opening a tin full of history, YOUR history. 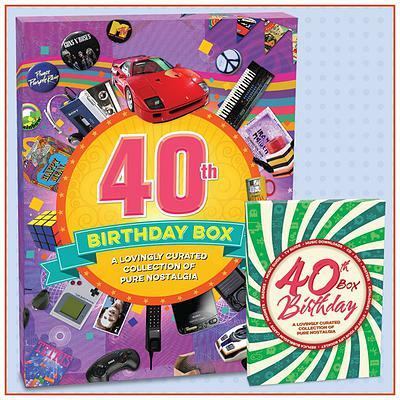 40th Birthday Gift Box packed with items that you grew up with. Much cheaper than a time machine and sure to bring back fond memories. Contains CD/ DVD plus a host of other great memorabilia. 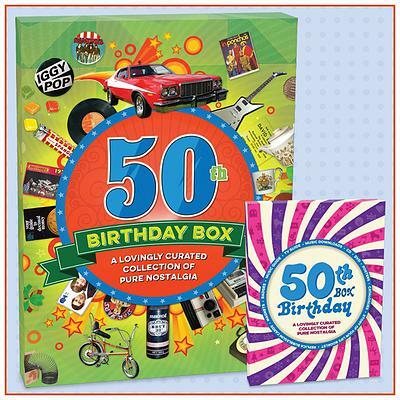 50th Birthday Gift Box packed with items that you grew up with. Much cheaper than a time machine and sure to bring back fond memories. Contains CD/ DVD plus a host of other great memorabilia. 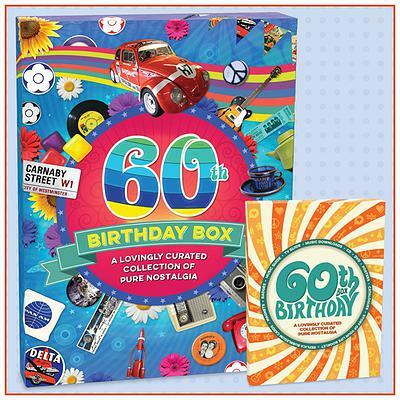 60th Birthday Gift Box packed with items that you grew up with. Much cheaper than a time machine and sure to bring back fond memories. Contains CD/ DVD plus a host of other great memorabilia. 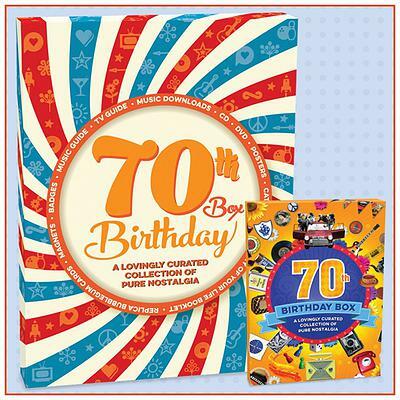 70th Birthday Gift Box packed with items that you grew up with. Much cheaper than a time machine and sure to bring back fond memories. Contains CD/ DVD plus a host of other great memorabilia. Milestone Birthday Gift Boxes. Take yourself back in time to celebrate a 40th | 50th | 60th and 70th Birthday ! 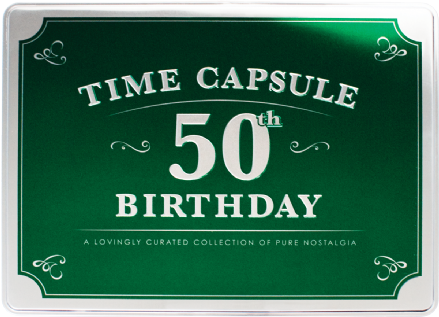 Stunning Birthday Gift Boxes and Birthday Time Capsules full of items to remind you of your formative years. 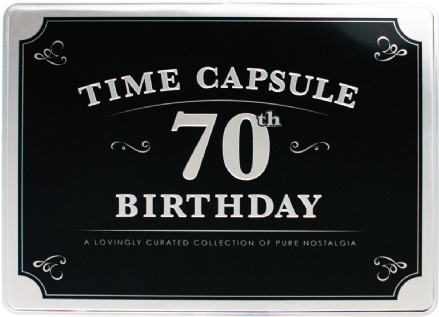 We have birthday boxes and time capsules that cover those special birthdays from a 40th Birthday all the way through to a 70th Birthday. Each deluxe keepsake box comes crammed with over 20 items of memorabilia chosen to bring back fond memories of the life of the recipient. Our Birthday Boxes contain a selection of replica ephemera, each collection includes a 24 page booklet of news and fun stories, a CD packed with music hits from the recipients life, together with a digital download code for all the songs and a fabulous DVD featuring a unique collection of news, lifestyle and personality stories the recipient is bound to remember. 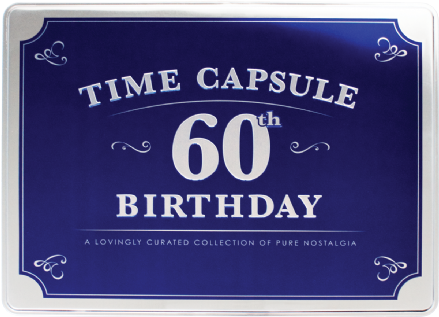 ​​​​​​Our Time Capsules are metal embossed containers and inside you will find similar items as in the birthday box, including a CD of music, and news reel DVD from your formative years, plus Pin Badges, Posters, Postcards, Catalogues, Leaflets, Tickets, Magnets and Enamel Celebration Badges. These are extra special gifts for someone celebrating one of those Big Birthdays. Your loved one (and maybe yourself) will transport back in time and remember the sights and sounds from many of the great decades in the 20th century. We can send your gift direct to your recipient and you can also request a Free gift message to place inside the gift. Happy Memories !